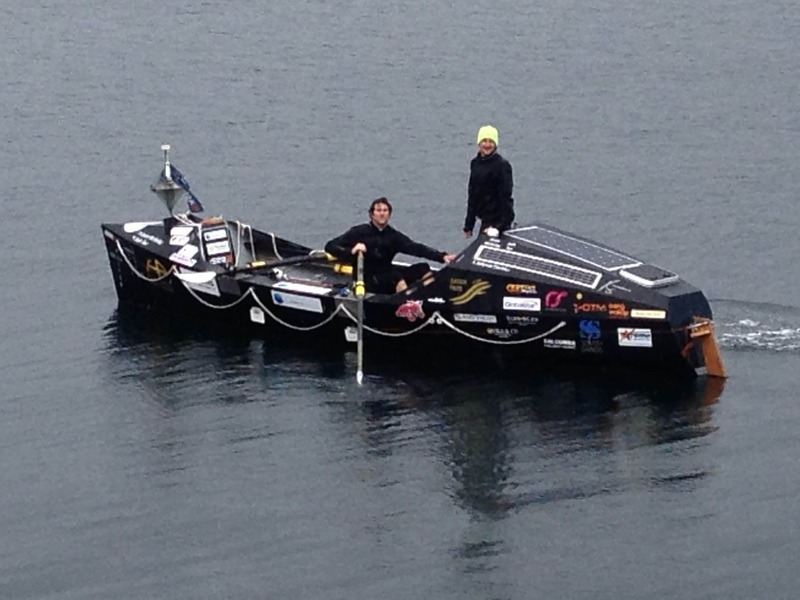 Today (June 24) Josh [Tarr] and I had a small window to get out of the bad weather but with the current and winds against us, winds 9-13mph, it meant rowing together as far as we could to try and make the 16.2miles to Cape Wrath…and the top of Scotland. We rowed for five hours, making just 6.2miles and were dead beat. We tucked in to allow the strongest current to pass , to eat and sleep. A 2.5 hour rest and we went again. This time, the current was really strong and in our favour! Nothing in the charts suggested this and our window was getting wider! We pushed on together for another 4 hours and turned round a nasty Cape Wrath jut before 8pm. The charts are suggesting a current with us of 1.7knots maximum but we were getting 4-6knots with just one on the oars at a time! While this is awsome, we’re all too aware of the tide changes around 1am, so let’s wait and see…This certainlywasn’t expected and we’ll take it…We continue to swap oars at regular intervals.